Undoubtedly, many of you will answer that we need muscles only for strength and for holding some kind of weights, both in the gym and in everyday life. For someone purely aesthetic appearance. But human muscles are not so primitive, that would have only one purpose and be limited to this kind of only one power function. The task of the muscles lies in the ability to perform various types of load, for example, as long-term – quite light for a long time, but also short-term, but quite intense. Today you will be set to run a marathon for several hours, but tomorrow you will have strength training in the gym. And the muscles will perform both functions. The difference will be only in how you do it, and how quickly you surrender in one of the types of load. After all, agree? Not every load is given equally easily to every person. Especially if a person never paid enough attention to training, let alone sportsmen. What muscle fibers are responsible for our strength and endurance? Based on these functions and purposes of the muscles, scientists of the Institute of Physiology of the United States in the twentieth century. 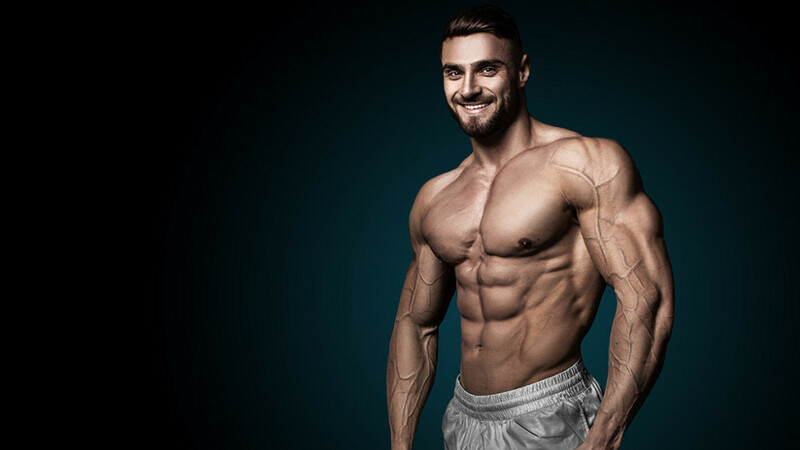 proposed to divide the types of muscle fibers into several, depending on how fast they are reduced and how resistant to overwork (simply speaking, combining the two signs of fibers). Fast glycolytic fibers. They contain an insignificant number of capillaries, they are also called white, due to the color, they are twice as thick as the red fibers. React quickly enough to a signal that comes from the brain – twice as much as the slow ones. The source of energy is creatine phosphates, glycogen, ATP, which are 2–3 times more active in fast fibers, they are faster processed and faster to give muscles an influx of energy. Unfortunately, at this time – the same sources are exhausted. Only less than 1 minute of active physical work is enough. Fast glycolytic fibers take energy without the use of oxygen, and this gives us almost lightning-fast energy. Cons – depletion of body reserves. According to this, it is imperative, after strength training, to fill up glycogen stores, as proteins and carbohydrates. Do not starve! We conclude. White muscle fibers are designed for intensive, but short-term load, they are not able to withstand a multi-repetition in the exercises and the same type of work for a long period of time. Intermediate fibers. The number of mitochondria (the energy-generating organelles of the cell) is significantly reduced, and in the process of work the glucose decomposition products – lactic acids accumulate in the muscles, but fatigue comes much slower than the glycolytic fibers. Slow oxidative fibers. They are called red (due to the large number of capillaries). They are involved and work at long, but easy loading. They contain more mitochondria and myoglobin, which are designed for energy storage and its gradual use. Energy source – fatty acids, fats. Red fibers dominate long-distance runners and athletes in other aerobic sports. But there is an important difference between white glycolytic and red-oxidative fibers in this: they are more capable of increasing in size and to some extent in quantity (individual fibers separate in the process of growth). The increase in muscle mass by 30-60% occurs mainly due to the growth of white glycolytic fibers. The ratio of white and red muscle fibers. This ratio lies deeply at the genetic level in each of us, it is almost impossible to change it. For a larger number of people, slow red fibers predominate – 60 to 40 (%), and literally only a quarter the ratio is inverse – 40 to 60 (%). Imagine? People with predominantly fast fibers make very gifted sprinters, bodybuilders and professionals in all other sports where fast explosive power is needed. Should I focus only on strength training? Or, to put it simply, is it possible to create a training program focusing only on large weights? Frequent work with a large weight greatly depletes the muscles and the central nervous system (CNS). And this is a significant disadvantage. Our body needs a long recovery period (2-4 days). Therefore, when playing sports, keep in mind that your personal trainer should competently approach the writing of an individual training program for you, including necessarily heavy weights, medium weights and minor ones, but with more repetitions and cardiovascular training. Remember, dear readers, that cardio cannot be removed from the training process: the more muscle mass we have, the greater the load on our heart increases.